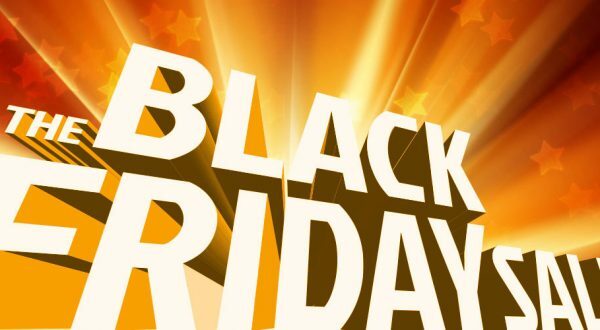 This weekend, millions of Magic players around the world will gather at their local game stores to get their first chance to play with cards from Oath of the Gatewatch. 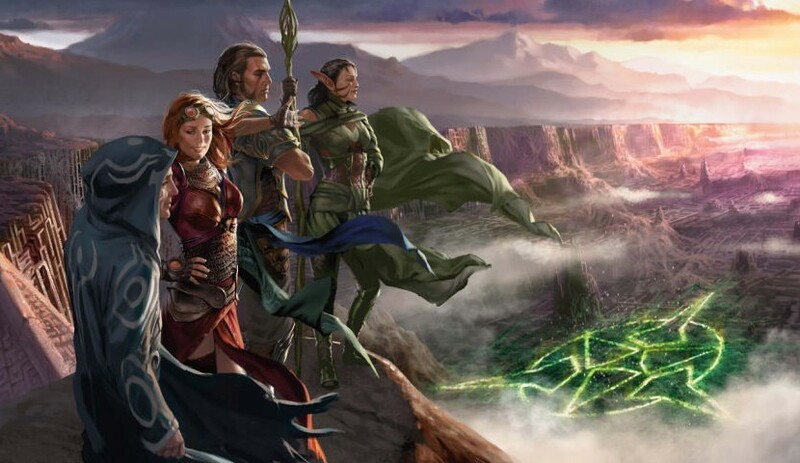 Many of the players that come out to prereleases are experienced sealed players, but prereleases also serve as a starting point for newer players. Prereleases have a unique characteristic to them: they’re designed to be super casual, fun, and very beginner friendly. So, for those who are coming out to their first tournament ever, and for those playing in their 20th prerelease, I want to break down what to expect after you open up all of your sweet new booster packs. It’s important to remember when playing in a prerelease that this is the first chance that everyone in the room has to hold these new cards. 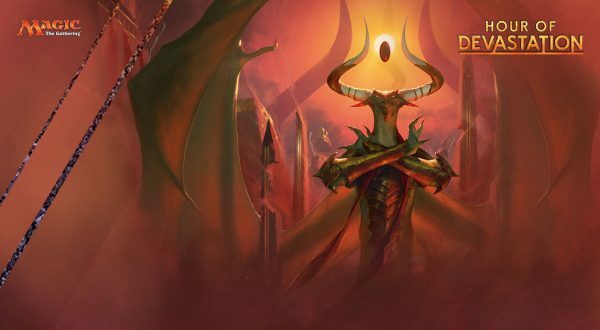 Nobody’s a master of the format yet, and you’ll see tons of different cards being played that you might not after a couple weeks of drafting solidifies what’s good in the format. That doesn’t mean that you have to go into a prerelease completely blind. The spoiler for the new set has been out for about a week now, and if you haven’t looked it over, I suggest you do. This set adds some interesting pieces to the puzzle, starting with changes in synergies and ending in some interesting keywords that can prove powerful or useless depending on how you build your deck. My overall belief is that this set is more generically powerful than Battle for Zendikar was, but a lot of the synergies that existed in BFZ limited have been mostly left out of this new set. This is important to understand because during the prerelease, you’ll be getting only two Battle for Zendikar booster packs. So when you see cards like Halimar Tidecaller or Benthic Infiltrator, know that their effectiveness will be greatly diminished. While Awaken cards, Ingesters, processors, and cards that interact with those abilities have lost a good amount of their power in this format, the more generically powerful archetypes like Devoid have actually become better. Cards like Nettle Drone, Vile Aggregate, and Ruination Guide play very well with newcomers like Reaver Drone and Sky Scourer. If you open your pool and get a good density of Devoid cards and cards that work with colorless cards, this type of deck can be very potent. 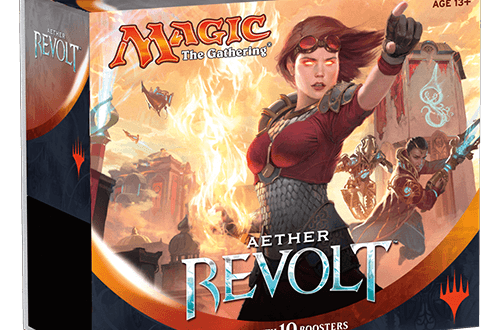 Allies make a return in Oath of the Gatewatch, this time sporting the new keyword, Cohort. This keyword doesn’t seem like a particularly spectacular build around. Tapping two creatures to get an effect is generally not a solid value play, and I suggest playing fewer Cohort cards for their abilities because of this. If a Cohort creature has decent stats on its own, and you have a couple solid Allies to play alongside, it’s probably worth playing. Cards like Zulaport Chainmage and the rares can work pretty well to break board stalls. While Ondu War Cleric will keep you alive, it won’t put pressure on an opponent that’s keeping the ground secure. I’d be looking to play Ondu War Cleric because it’s a two-mana 2/2 that might have some upside during the course of the game. 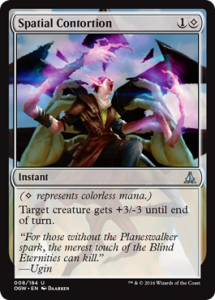 Probably the most significant addition to Oath of the Gatewatch is the colorless mana symbol. At first glance, it seems like you’d want to approach cards with this mana symbol as a separate color. That’s a safe approach, and one you could stick to for the prerelease. The issue with this strategy is the rarity of Wastes. Unlike other basic lands, you can only play up to the number of Wastes that you opened in your packs. So, players wanting to play larger quantities of colorless symbol spells are going to want to find additional sources to consistently play them. 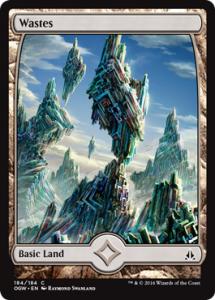 This means looking at non-basic lands that add colorless mana, but also have secondary effects(Unknown Shores, Crumbling Vestige, and Holdout Settlement are all decent possibilities). When you start to spread out your options for mana, you open up the possibility of splashing colorless instead of playing it as a main color. I think in this format, most decks can find a way to splash colorless cards without overloading their mana base. This is actually easier than it sounds considering the number of “colorless fixing” cards in this set, including Eldrazi Scions. It’s important to note that the more colorless spells you play, the harder it’ll be playing cards with two or more colored mana symbols in their cost. So, be cautious when trying to play cards like Grasp of Darkness with Wastes in your deck. Considering a lot of the power in this set resides in the colorless spells, I suggest at least considering any of the colorless spells you find in your pool. The last mechanic in this set to talk about is Surge. 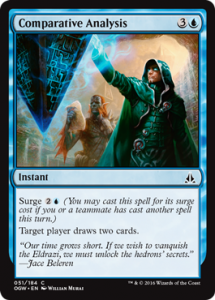 Surge is an alternate casting cost that is triggered by casting another spell during your turn. 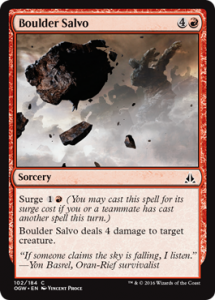 Most Surge cards are red and blue, which tends to be a color combination that likes to cast a bunch of cheaper spells. That being said, outside of rares and mythics like Crush of Tentacles or Tyrant of Valakut, there isn’t much reason to build your deck around Surge. I like to think of Surge as a bonus when you play cards off curve. You’re not going to hold your two-drop in order to shave a mana off Comparative Analysis, but if you draw a 3-drop on turn five, you can play it and cast a Boulder Salvo in the same turn. Discounts like that are largely worth it when they work, but I don’t need Boulder Salvo to cost two mana all the time. That’s the key to Surge. If the cards you’re playing work fine on their own, but happen to have a Surge cost, they’re worth playing. I’d want to pair some Surge cards with a solid curve and let the value figure itself out. So, you’re sitting at the table, your new Oath of the Gatewatch packs torn open with wrappers strewn all about. You stare at your pile of cards and wonder, “what now?” Like most sets, I’d first look at your bombs. 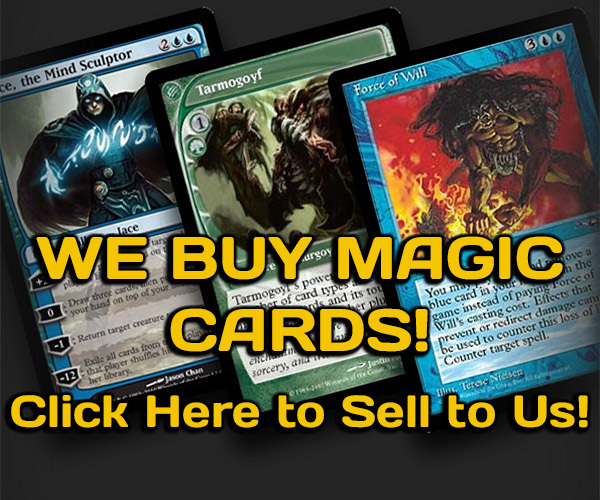 Rares, mythics, super-powered uncommons… These are your signposts to building a sealed deck. If your bombs direct you towards one or two colors, start there. It’s important to remember that much like just BFZ, this set looks to encourage two-color decks. As I said before, a colorless splash is possible with non-basic lands or cards like Kozilek’s Channeler. After I look at my bombs, I tend to go through the colors they correspond to and figure out how deep those colors go. Uncommons tend to be more powerful than commons by definition, but commons are your workhorse. Your deck will most likely be mostly commons, so it’s important that those commons work well for your deck. If you’re not sure what makes a good common, remember the mnemonic BREAD. Bombs, Removal, Evasion, Aggro, Dregs. This is a hierarchy for draft that works well for sealed as well. Bombs tend to refer to rares, but can also mean uncommons (like Coastal Discovery or Vile Aggregate were in BFZ). Removal is at a premium in this block, so you’ll want to make sure you have several spells in your chosen colors. 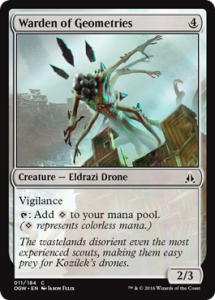 Evasive creatures are creatures with flying, trample, menace, or any other keyword that makes blocking them more difficult. If a creature is harder to block, it’s a bigger threat to the opponent. Aggro cards are cheap, efficient creatures that attack quickly, but tend to be worse than other mid-sized creatures. Oath of the Gatewatch is different than Battle for Zendikar. In BFZ, there was a gap between small creatures and bigger creatures that wasn’t filled very well. Oath seems to round that out with more midrange-style creatures at middling power/toughness ratios. This means that hyper aggressive decks can be stymied more often than they used to be with a decently sized 3- or 4-toughness creature. Finally, dregs are anything else that you don’t really want to play in your deck, but will if you have to. So what’s this mean for your prerelease deck? If you’re looking at two or three colors and aren’t sure which are the right ones to play, compare each of these categories. If your removal is better in one color, and another color has better creatures, combine those two and see how they work. Don’t forget, this is a prerelease and you’re allowed to change your deck around as much as you want during the tournament. So, if one combination doesn’t work the way you want it to, build a different deck and try that. That’s what prereleases are for: trying out the new cards for the first time. Oh, and also fun. Don’t forget to have fun. So, for those headed out to the prerelease this weekend, remember these tips and you’ll do fine. If you’re headed to Dream Wizards, you’ll see me at the Midnight event, where I’ll be judging, the Saturday afternoon event where I’ll be playing, and the Sunday events where I’ll be working. If you see me, say hi. If you want some advice with your deck, feel free to ask, and if we play, don’t forget we’re all here for fun. Doesn’t mean I’ll go easy on you.